We're a month away from Disney's Halloween Time. It's my favorite time of year, not just at Disney parks, but in general, since I love scary spooky time activities. At Disneyland, though, festivities are a much more family-friendly affair, for obvious reasons. 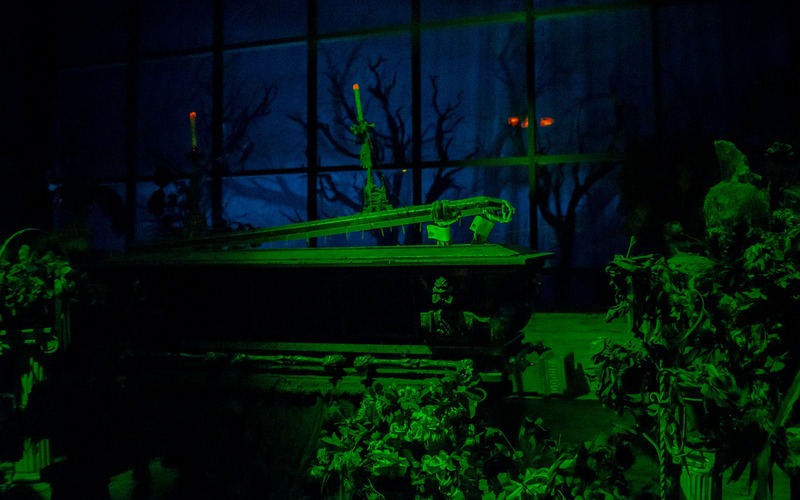 There is fun and good spirit (pun intended) to everything, so in that intention, here's a photo of a grim creature trying to escape his final resting place inside the Haunted Mansion. This has always been one of my favorite scenes in the ride due to its photogenic and silly morbid nature. I'm glad I've finally gotten to the point where I'm able to capture scenes like this onto photographs. In other words, is it Halloween season yet? A ghoul can hardly contain himself inside the Haunted Mansion.